Extreme Fishing Concepts is best known for our bases that attach to the rope cleats of boats and do not require holes to be drilled. These bases were invented by a fishing guide and have been used by not only him but many others with fantastic results for many years. Check out our unique line of bases under the tabs for Extreme Bases. Our goal at Extreme Fishing Concepts is to provide fishing tools for the outdoorsman at affordable prices with personal service. We offer a full line of Driftmaster Rod Holders and equipment, Santee Rod Holders and equipment, Redi-Rig Floats, Hydro Glow fishing lights, planer boards, umbrella rigs, bait tanks and equipment, and many other items. We are not the common tackle shop that only sells packaged items. We can mix and match our items to suit your purpose and your wallet. We will accomplish this with an experienced team of fishing people and not just sales people. Let us help you have more fun on the water. We at Extreme Fishing Concepts are always here to assist you with your questions. You may call us at 336-249-6782 from 7:00 am to 11:00 pm east coast time everyday. Our e-mail address is fishguide@triad.rr.com. 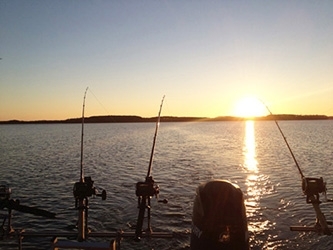 Ask us about outfitting your boat or equipment for striped bass, largemouth, crappie or catfish. There are guides here to assist you most of the time or we can have them contact you. We appreciate your business.